One such town is Pekalongan in Central Java, known as the Batik City and home to some of Indonesia's most sought-after batik. Pekalongan is first mentioned in chronicles dating back to the 12th century, when Chinese merchants of the Song dynasty first made contact and knew the city as Pukalong. They describe the "King of Java" as living there and the local people wrapping their bodies in colorful woven cloth. This seems to confirm that the people of Pukalong were already making batik fabrics back in the 12th century. More recently, Pekalongan was declared not only Indonesia's but also Southeast Asia's first member of UNESCO's World's Creative Cities Network in 2014. This came in the wake of the important role of Pekalongan's batik museum in helping to obtain UNESCO certification for Indonesian batik. Getting around Pekalongan is a real pleasure. The traffic is light and there is an army of becak drivers to choose from. The city center is so small that you can go almost anywhere for around Rp 15,000. One of the most important places to visit is the Pekalongan Batik Museum, housed in a colonial-era Dutch building overlooking a square shared with the colonial governor's old palace. Opened by then President Susilo Bambang Yudoyono in 2006, the museum houses a truly stunning collection of batik, not only from Pekalongan but from all over Indonesia. The exhibits are all well labelled, with the designs and origins explained in both English and Indonesian. 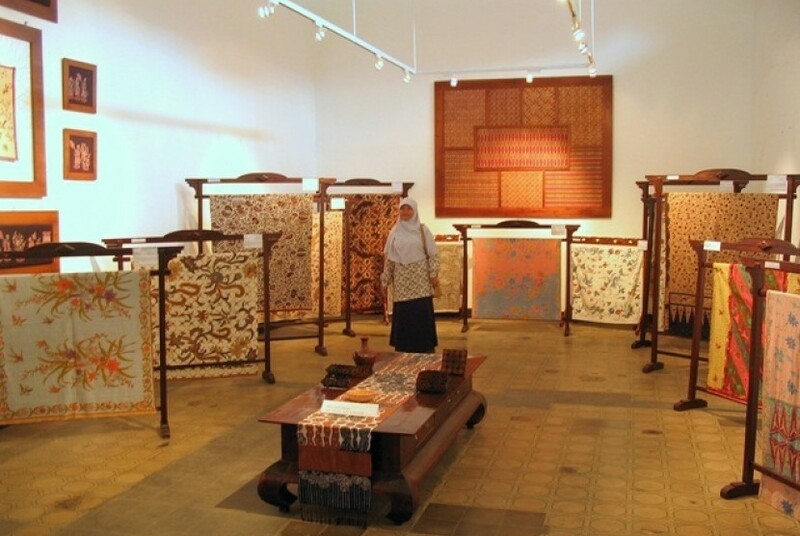 The museum also contains a workshop where batik enthusiasts can try their hand at the art of batik-making. It helps to have a very steady hand. The old center of the city contains several kampong (small village communities) where the traditional hand-made small-scale batik workshops are found. In fact, printed-batik factories are not allowed to operate in the old city. It'? ?s best to go with a guide who knows their way around and is friendly with some of the small factories. This is the best way to see and learn about the art of batik-making. Pekalongan batik tends to be more colorful and lively than the more formal batik designs found in Surakarta and Yogyakarta, partly thanks to the invigoration of the designs and colors brought by a Dutch woman, Eliza van Zuylen, in the mid-19th century. The city is hardly well-endowed with hotels, there being only about a dozen or so. By far the best is The Sidji Hotel (sidji means '? ?one' in Javanese), a new centrally located, family-run boutique hotel added to the back of a traditional Dutch-era house, circa 1920. The hotel also has one of the best restaurants in town, together with its own batik store. So, if you're at a loose end one weekend, escape into the depths of traditional Java and visit Pekalongan. Now's a good time to go: plans are afoot to construct a mega-power station in the near future, and change will come rapidly once construction starts.